Following a night at the Keg or the nearest frat house, your body needs hydration ASAP. In order to get your thirsty organs to hang onto the water you’ll be swigging, you’ll need plenty of sodium (right?). The solution? 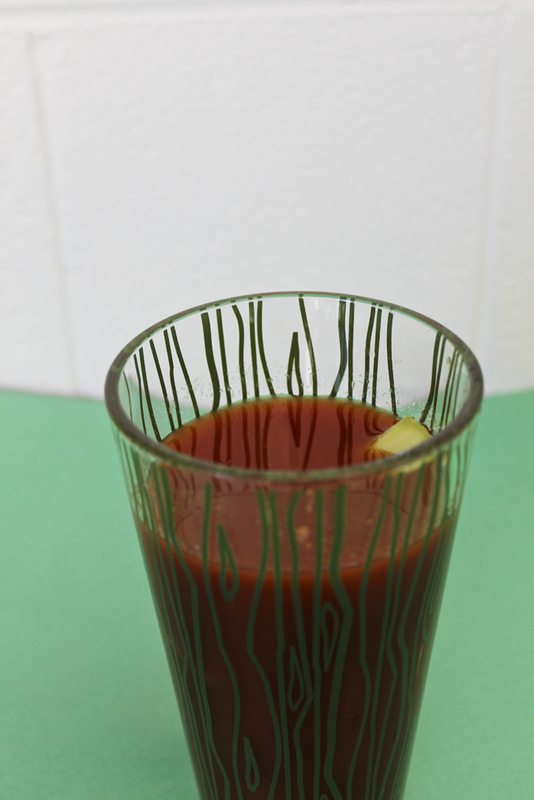 A salty, brine-y, simple Bloody Mary. My father, the family expert on Bloody Marys, suggests a spicy kick in your drink and to enjoy two in succession with breakfast. Have it on a Sunday morning and plan to spend the rest of the day on the couch, watching reruns of the Office and snoozing. When you find yourself in times of trouble (or hangovers), Bloody Mary comes to you…. 2. Combine all ingredients (excluding the green beans and olives) into the glass.